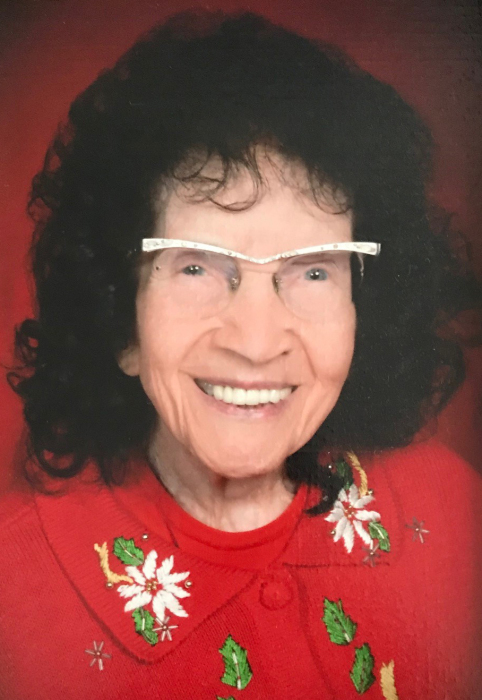 Obituary for Jeanette Johnston | Esterdahl Mortuary and Crematory, Ltd.
Jeanette M. Johnston, 99, formerly of Moline, passed away Sunday, February 10, 2019, in Lawrenceburg, KY.
Funeral services will be held at 1 p.m., Friday, February 15, 2019, at Esterdahl Mortuary & Crematory, Ltd., Moline. Visitation will be from 11-1 p.m., Friday, February 15, 2019 at the funeral home. Burial will be at Rose Lawn Memorial Estate. Memorials may be made to the Missions Fund at MGT/New Hope. Jeanette was born on February 27, 1919, in Moline, the daughter of Marvie and Sarah (Freark) Moore. Jeanette was a lifelong, and the oldest member of the MGT/New Hope where she played piano for children’s church, and taught Sunday school. She also loved to travel. Survivors include her daughter, Jeanine; 3 grandchildren; 5 great grandchildren; and 6 great great grandchildren; several nieces and nephews; special friends, Rhonda, Tony, and Anthony Ceuvorst. George and Sally Weckel, and Kerry and Mary Kelty. She was preceded in death by her parents, brother, Carroll, grandson, Greg Cook, and son-in-law, David Cook.